We asked San Antonio plastic surgeon Dr. Constance Barone to explain what options women have when choosing breast implants. Dr. Barone is a board-certified plastic surgeon with over 30 years of experience. She is a respected member of the medical community and known for her work as an innovator in plastic surgery, an author, and a teacher. Her extensive background, training, and work has resulted in her designation as one of America’s Top Doctors by multiple professional organizations, patient review sites, and media outlets. Recently she was named an Ideal Implant Premier Surgeon because she is one of the most experienced surgeons performing breast augmentations with the IDEAL IMPLANT® Structured Breast Implant. Dr. Barone is dedicated to providing the safest and most efficient procedures for her patients. She also believes each patient should have access to a variety of choices in order to reach their goals. She offers every type of breast implant at her plastic surgery center and works to educate each patient about the benefits and compromises of each. Read below to learn what Dr. Barone has to say about choosing the best breast implants for you. What Breast Implants are Available? The FDA has approved 3 types of breast implants: saline breast implants, silicone gel breast implants, and IDEAL IMPLANT Structured Breast Implants. At Dr. Barone’s plastic surgery center, you can see and feel each implant to help you make your choice. Before and after pictures are also available so you can see what the final results will look like. Saline implants are filled with saline (sterile saltwater), which is naturally and safely absorbed by the body if the implant ruptures. Saline has many medical uses, including IV fluids to keep patients hydrated. A rupture can be detected immediately because the implant will deflate as the saline flows out of it and is absorbed by the body. These implants tend to visibly ripple and women complain that they feel unnatural, especially if they do not have much breast tissue or fat covering the implant. Silicone gel implants have silicone gel inside the shell for a smooth and attractive result, but can give some women anxiety about potential complications. Silicone gel is not absorbed by the body, and it can be difficult to know if the implant has ruptured. Silicone gel has more recommended maintenance and a higher rate of rupture and capsular contracture than some other breast implant types. Many surgeons recommend replacing silicone gel breast implants every 10 years to avoid complications. The IDEAL IMPLANT Structured Breast Implant is the newest breast implant type. Dr. Barone tells us, “it consists of a saltwater-filled structured breast implant. There is an outer fill valve, which covers the outer area, and then there’s an inner fill valve that covers the inner lumen. 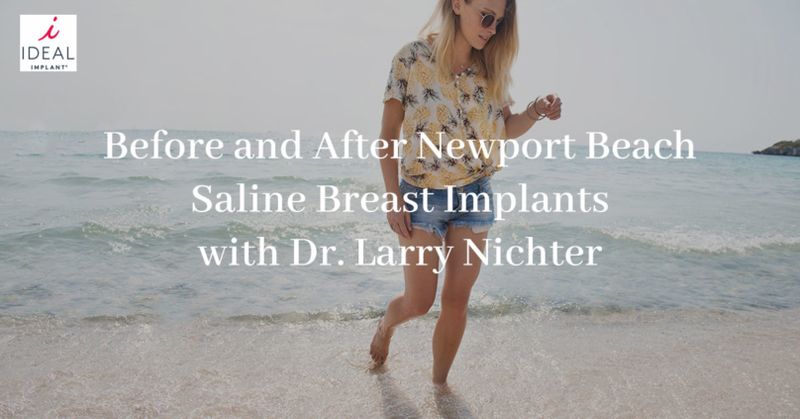 So, there’s actually two fill sites, which allows this implant to have a very natural feel, as opposed to saline implants, which felt hard and like a balloon.” The saltwater inside gives women peace of mind in the event of a rupture. Based on 8-year clinical trial results, it also has lower complication rates for capsular contracture and rupture compared to silicone gel breast implants. How Does the IDEAL IMPLANT Structured Breast Implant Compare to Silicone Gel? Overall, Dr. Barone believes the IDEAL IMPLANT Structured Breast Implant has many advantages over silicone gel breast implants and recommends them to women who want beautiful, natural looking results with peace of mind. What Happens If a Breast Implant Ruptures? What exactly is “implant rupture,” and how does it affect women? An implant can develop a small hole in the shell and begin to leak. In silicone gel breast implants, women may not notice a difference in their breasts, meaning the rupture is “silent,” as Dr. Barone described above. Or they may feel a hardening or tightening, or feel lumps. As Dr. Barone mentioned, the silicone gel may migrate out of the breast capsule and into other parts of the body. In a recent survey of over 900 women 98% reported they would be somewhat concerned to constantly concerned about silent rupture with silicone gel implants. Before the IDEAL IMPLANT Structured Breast Implant was introduced many women felt they had to make the difficult choice between constant concern with silicone gel breast implants, and the unnatural feel of saline breast implants. The IDEAL IMPLANT Structured Breast Implant can also rupture, but there is no risk of a silent rupture. The saline inside begins to leak out of the implant and is safely absorbed by the body. A saline implant will deflate completely, leaving just the shell behind. Dr. Barone explains what happens when an IDEAL IMPLANT Structured Breast Implant ruptures, “one of the advantages of the IDEAL IMPLANT is that, if you get a deflation, it probably just deflates the outer sleeve so it’s not as obvious of a deflation.” This means that although you will notice a difference in your breasts, it will not be as obvious as with saline breast implants. You have the ability to plan a revision surgery around your life and your schedule. How Do Breast Implants Compare Aesthetically? Saline breast implants are often compared to water balloons because they are simply a silicone shell filled with saltwater. They are not as dense as breast tissue and may ripple under the skin. This can especially be a problem in women without much breast tissue or fat to cover the implant. 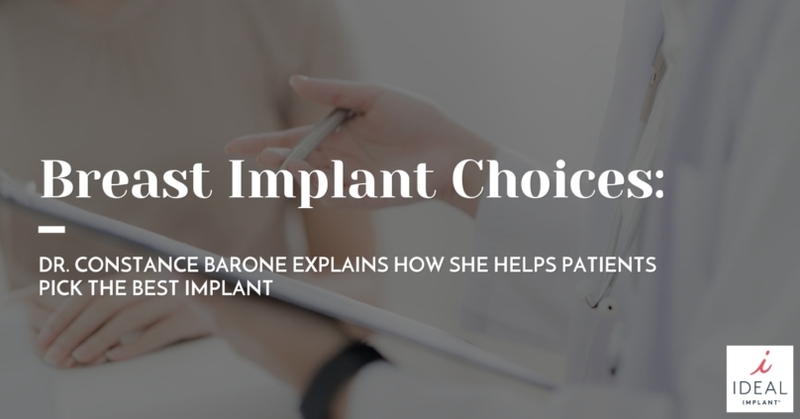 Dr. Barone tells us “I was very excited when the IDEAL IMPLANT came out because one of the things I hated, and most women hated, about the saline implant was just the unnatural feel. They felt like balloons underneath the chest wall.” The internal structure of the IDEAL IMPLANT Structured Breast Implant gives it a smooth, natural looking result that many compare to the look and feel of silicone gel breast implants. Dr. Barone tells us about the aesthetic benefits of the IDEAL IMPLANT Structured Breast Implant as compared to silicone gel breast implants. “One of the other advantages of the IDEAL IMPLANT is the fact that it’s got a nice contour to it. It’s not super high profile, so you don’t get that real full upper pole, but it’s a more natural look. The other advantage is that there’s less rippling associated with IDEAL IMPLANT. I know everybody says that silicone gel implants don’t ripple, but guess what? They do. There’s rippling associated with both types of implants, but I feel far less with the IDEAL IMPLANT.” Aesthetically, the IDEAL IMPLANT Structured Breast Implant gives women the natural, beautiful results they want. How Does Dr. Barone Present Choices to Patients? 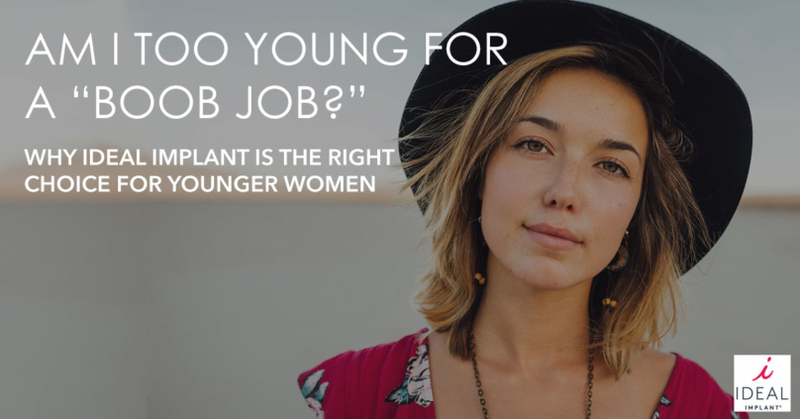 How Should Women Choose a Plastic Surgeon? Women should know it is important to choose an experienced board-certified plastic surgeon to perform your breast augmentation. A board-certified plastic surgeon has spent years training and performing plastic surgery procedures, learning about every complication and how to get the best possible outcome. Additionally, to maintain board-certification by the American Board of Plastic Surgery physicians must meet continuing education requirements and take exams periodically. Dr. Barone is board-certified in plastic surgery, so her patients know from the first meeting that she is dedicated to providing safe and effective medical care. Her patient reviews reflect her level of professionalism and her compassion. Read what some recent patients had to say about their experiences below. If you’re curious about plastic surgery, visit Dr. Barone’s website to see what procedures she offers in addition to breast augmentations. She is trained in “awake” surgical technique for patients who feel uncomfortable with full sedation. Dr. Barone’s office is a state of the art plastic surgery center and features a spa facility, a laser center, an outpatient center for cosmetic surgeries, and rooms for treatment and recovery. Her patients enjoy a relaxing environment that allows them to discover their full potential. Don’t wait to start on your journey to a new you, your only regret will be that you didn’t start sooner! Considering breast implants in San Antonio? Contact Dr. Constance Barone today to discuss your options. Simply call 210-614-0400, or visit https://www.baroneplasticsurgery.com/. Dr. Barone’s office is located at 9502 Huebner Road, Building 2, Suite 202, San Antonio, TX 78240. Call today for more information on IDEAL IMPLANT® Structured Breast Implants. As a professional researcher, one patient knew that she had some work to do in order to find the best plastic surgeon to perform her breast augmentation. Women should only trust their bodies to the best, making sure they select someone with extensive experience and training. One way to be sure that your doctor has these qualifications is to make sure they are Board Certified. Other important factors are finding a doctor who will listen to your concerns, explain all of your options, and individualize your procedure so that it’s customized to your needs and lifestyle. 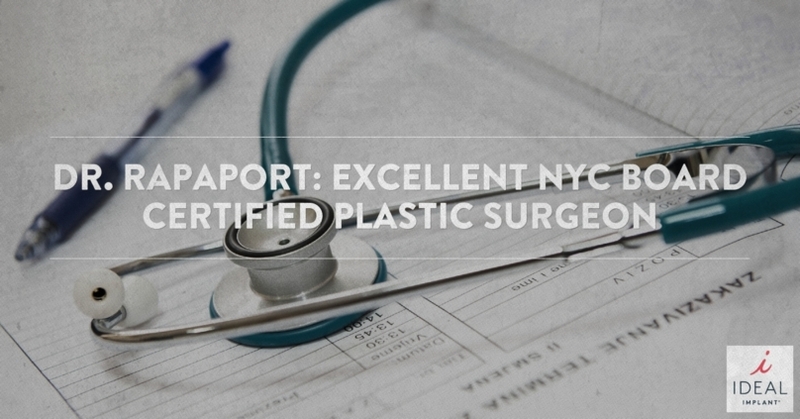 This researcher turned patient shares her experience researching board certified plastic surgeons in NYC to find the right one for her personal breast augmentation. NYC board certified plastic surgeon David P. Rapaport, studied medicine at Boston University and then transferred to Israel’s Tel Aviv University, where he earned his medical degree. He later did his plastic surgery training at the New York University’s Institute of Reconstructive Plastic Surgery, which is widely regarded as the nation’s top plastic and cosmetic surgery residency program. After gaining experience and pioneering work in endoscopic and minimal incision breast surgery in Florida, he moved back to New York City and opened his private cosmetic surgery practice in Manhattan, New York. Dr. Rapaport specializes in breast augmentation, liposuction, and coolsculpting. All of Dr. Rapaport’s procedures are performed on-site in his fully accredited office surgical suite on Fifth Avenue in Manhattan. Wanting the feel of a silicone gel implant without having to deal with the worry of a possible silent rupture and frequent MRI visits, she decided to go with the IDEAL IMPLANT. As a member of an exclusive group to now offer the IDEAL IMPLANT, Dr. Rapaport stood out amongst other board certified plastic surgeons in NYC. This patient had the peace of mind going into her surgery that the type of breast implant she chose has the lowest risk of rupture rate. She knows that if the implant does rupture, she will be able to tell right away, and the saline solution inside the implant will be harmlessly absorbed by her body. Because of its multi-layered shell structure, the IDEAL IMPLANT is known for keeping it’s natural looking shape and feel. With the IDEAL IMPLANT becoming more well known, women are starting to realize it is the obvious choice when considering types of breast implant. This patient trusted Dr. Rapaport because he was board certified and a breast augmentation specialist. She knows that the best and safest procedures are performed by doctors who have received the extra experience and education to become board certified plastic surgeons. In NYC it can be overwhelming to find someone you trust and feel comfortable going to. Just knowing that Dr. Rapaport was board certified made her decision that much easier. She felt comfortable asking him about the IDEAL IMPLANT and knew that he would address any questions she had as well as help her choose the proportional, natural looking size implant she desired. “NYC Board Certified plastic surgeon Dr. Rapaport is one of only about 250 doctors nationwide that are offering the IDEAL IMPLANT today. Trained at Harvard and New York University, he is a skilled plastic surgeon with 25 years of experience in the field. Dr. Rapaport performs all procedures on-site at his fully accredited office surgical suite on Fifth Avenue in Manhattan. For his procedures, he is able to use an endoscope underarm approach, which leaves the patient without any sort of breast scar . As the IDEAL IMPLANT continues to grow as one of the most sought after types of breast implant, information will be easier to find and women will hear more and more positive experiences like that of the patient featured here that they can use to help them make the right decision for their individual lifestyle. Considering breast implants in NYC? Contact Dr. Rapaport today to discuss your options. Simply call 212-249-9955, or visit www.parkavenueplasticsurgeon.com. Dr. Rapaport’s office is located at 905 5th Avenue (at 72nd Street), New York, NY 10021. Call today for more information on IDEAL IMPLANT® Structured Breast Implants. “Since I was about 16, I’ve had multiple lumpectomies. Nothing resulting in anything serious, but I obviously have a loss of tissue. And so it was one of those things where I can balance it out with a bra, but I didn’t have the look I wanted if I was in a bathing suit or I wasn’t wearing a bra. So it was definitely a confidence issue for me. I was self-conscious. And I had thought about it for a long time, and it just kind of got to the point where I was ready to make a change, and I’d heard about the IDEAL IMPLANT [® Structured Breast Implants], but I didn’t know a lot . . . Wanting the feel of a silicone gel implant without having to deal with the worry of a possible silent rupture and frequent MRI visits, Stephanie decided to go with the IDEAL IMPLANT. She now has the peace of mind going into her surgery that the type of breast implant she chose has the lowest risk of rupture rate. She knows that if the implant does rupture, she will be able to tell right away, and the saline solution inside the implant will be harmlessly absorbed by her body. Because of its multi-layered shell structure, the IDEAL IMPLANT is known for keeping its natural looking shape and feel. With the IDEAL IMPLANT becoming more well known, women are starting to realize it is the obvious choice when considering types of breast implant. The surgeon you select to perform your procedure matters just as much as the type of breast implant you choose. Dr. David Creech is a board-certified plastic surgeon with extensive experience and concern for his patients. The goal of his practice is not just to obtain beautiful cosmetic enhancement results, but also to provide patients with an excellent overall experience. The number one priority is the patient. From the moment patients first walk through the doors of the office he wants them to feel comfortable, cared for, and appreciated. Dr. Creech and his excellent staff are now one of the exclusive places that offer the latest type of breast implant in implant technology, the IDEAL IMPLANT. “Patients have many choices to consider.” states Dr. Creech. Considering types of breast implants in Chandler? Contact Dr. Creech today to discuss your options. Simply call 480-899-3737, or visit www.davidcreechmd.com. Dr. Creech’s office is located at 485 S. Dobson Road, Suite 217, Chandler, AZ 85224. Call today for more information on IDEAL IMPLANT® Structured Breast Implants. At ZENA Medical in Newport Beach, California, you can be positive that you’ll receive the best care by Dr. Karen Leong. She understands what women look for when it comes to treatments for their face, breasts, and body. We recently interviewed Dr. Leong to learn more about a typical consultation and her thoughts on the new IDEAL IMPLANT® Structured Breast Implants. Tell us a little bit about you and your practice. Can you tell us a little bit about what areas you focus on? Can you walk us through a typical consultation? How did you hear about the Ideal Implant? What’s been your overall impression of the Ideal Implant? How long can a woman expect her breast implants to last? What has been your experience with the Ideal Implant as far as patient satisfaction? 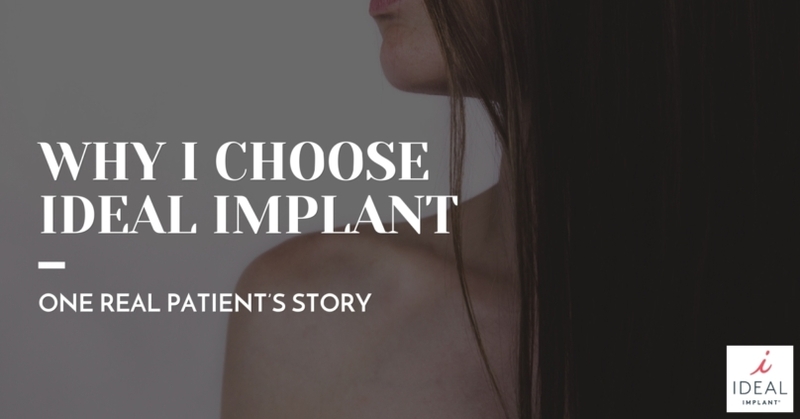 What would you tell other surgeons about the Ideal Implant? Could you give us a quick sum up of your thought and feelings on Ideal? Why do patients choose you over other surgeons? Anything else you want to mention about your practice? 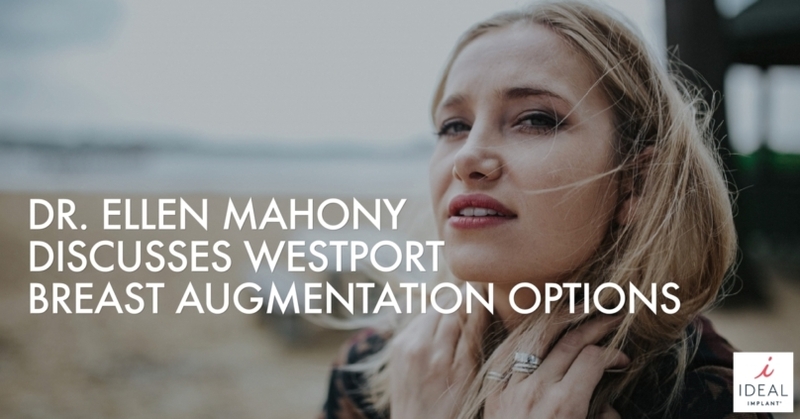 Considering breast implants in Newport Beach? Contact Dr. Leong today to discuss your options. Simply call 949-200-8222 or visit www.drkarenleong.com. Dr. Leong’s office is located at 359 San Miguel Drive Suite 300, Newport Beach, CA 92660. Call today for more information on IDEAL IMPLANT® Structured Breast Implants.